My grown children love home. And by home, I mean not just Hassler Woods, but Indiana. Attending school and setting up residences out of state have heightened their love and appreciation for our Hoosier farmlands, woodlands, and corn. They miss the corn. 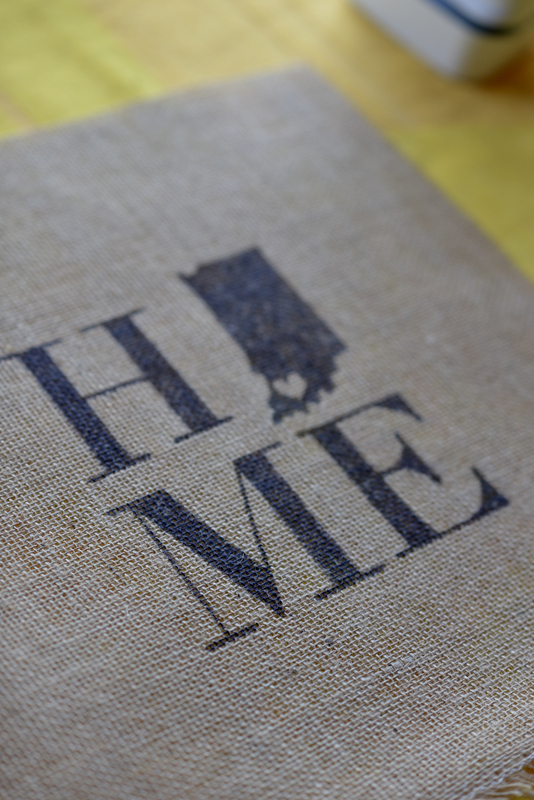 So this little project is perfect for expressing Hoosier love and reminding them of their Indiana roots. Items needed for this project: Approximately 1/2 yard of burlap, approximately 1/2 yard of black cotton fabric, pillow form, scissors, black permanent markers, tape measure, sewing machine, sewing pins, white thread and needle, iron. Skills needed for this project: Straight-line stitching and back stitching on a sewing machine, and slip-stitch hand sewing to close seam. Purchase or reuse a pillow form. Pillow forms are available at most craft and fabric stores, or you can remove the cover of an old pillow and use that. And cut off that pesky tag. Live dangerously. Do it. I dislike those tags. [Pillow form length] 14″ + 5/8″ for one side + 5/8″ for other side = 15 1/4″. [Pillow form width] 14″ + 5/8″ for one side + 5/8″ for other side = 15 1/4. 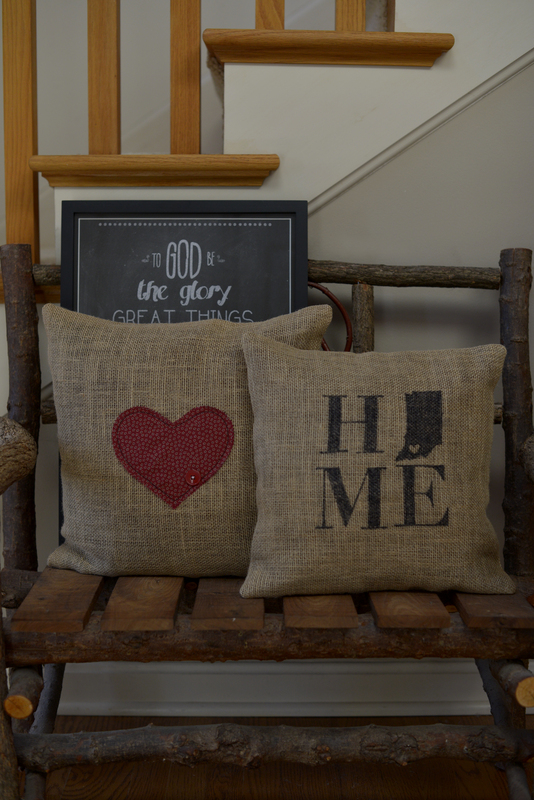 So, for a 14″ finished pillow, you’ll start with two square pieces of burlap that measure 15 1/4″ X 15 1/4″ . Burlap is easy to cut because you can easily see the weave and cut with the grain. Take your time and cut along the grain carefully after measuring the length and width of each piece. Now, center the design pattern underneath one piece of burlap. 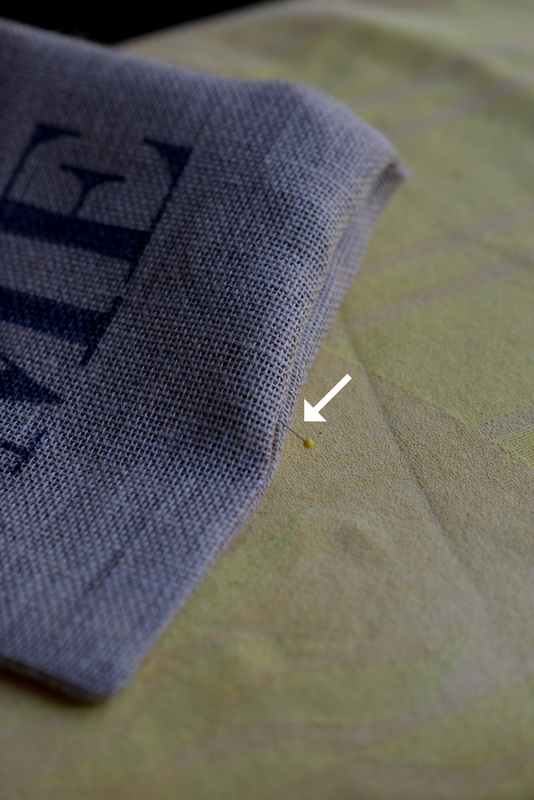 Because burlap has a loose weave, you can see the pattern through the fabric. 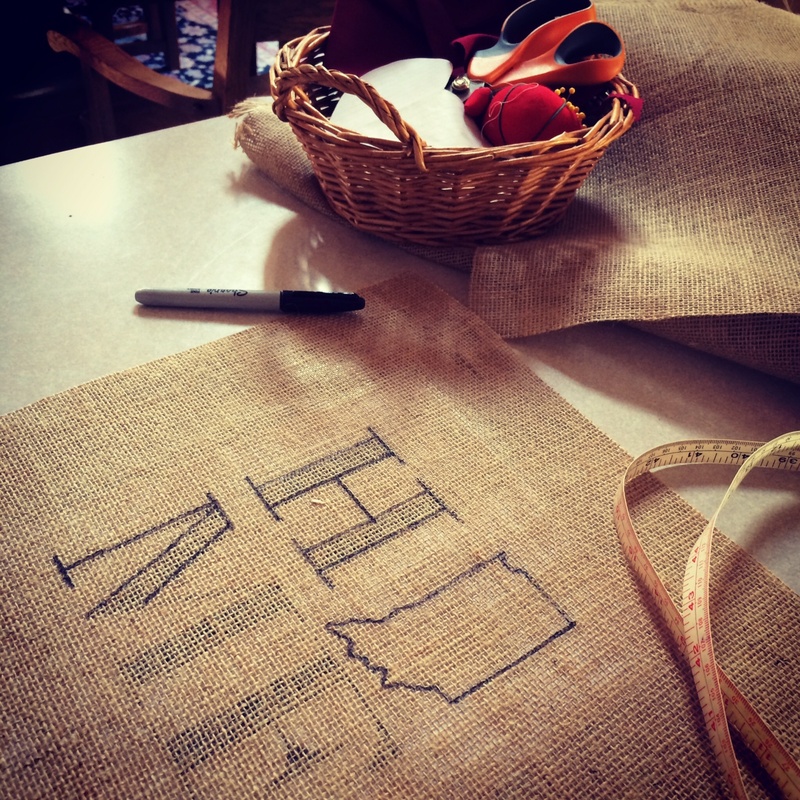 Using a medium point black permanent marker, outline the pattern onto the burlap. Don’t be afraid. Just keep a light touch and use small strokes. Practice on a scrap piece if you need to build your confidence a bit. You can do it. Once the design is fully outlined, you can fill it in, just like coloring in a coloring book. Which I find very relaxing. I like coloring. Still do. 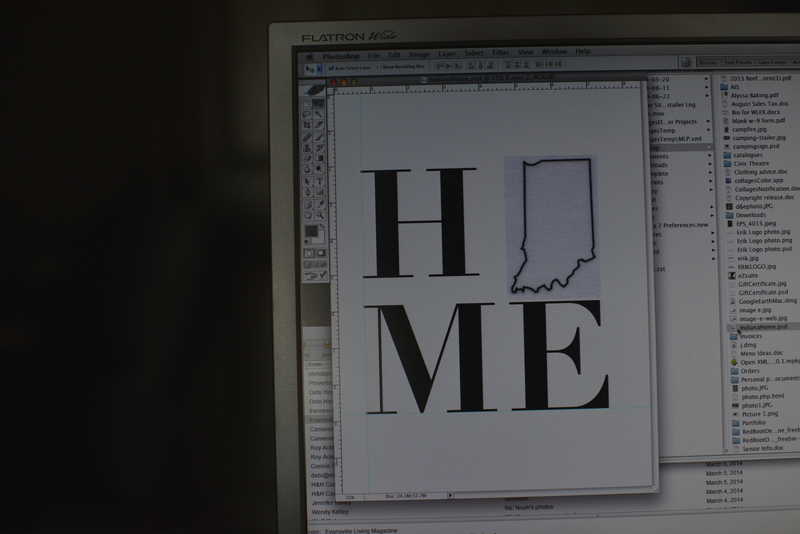 As an added touch and for personalization, I left a heart shape uncolored to indicate the location of our favorite hometown…Evansville…right there in the toe of the state. Pocket City. River City. Stoplight City. Evanspatch. Take your pick. Done and done. Your front is now ready to stitch into a pillow. Or frame. By trial and error, I found that I like the design on burlap so much more if I back the burlap with black fabric. Most purchased pillow forms are white, and the black design on the burlap has a lot more punch when a piece of black fabric is placed behind it. 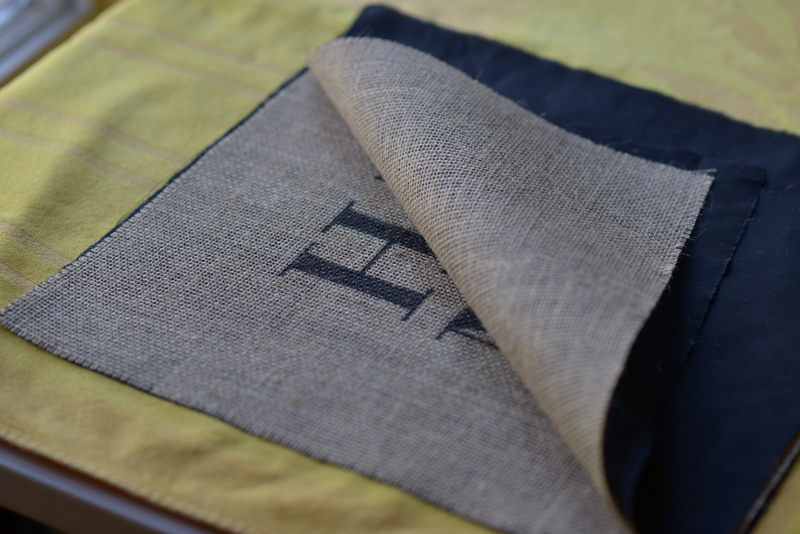 This is easy to do…just cut two pieces of black cotton fabric the exact same size as your burlap front and back. I usually clip and rip cotton fabrics to keep them square and true. Press all pieces. Place one black fabric piece under each burlap piece, then place the burlap front and back (with the black fabric liners) RIGHT SIDES TOGETHER. In other words, you will end up with a stack of four fabric squares in this order, from bottom to top: solid black square, burlap front with design up, plain burlap back, and solid black square. Securely pin the four layers together with all edges square and matching. Using white thread, sew the layers together using a 5/8″ seam allowance leaving an 8″ opening at the BOTTOM of the pillow for turning. 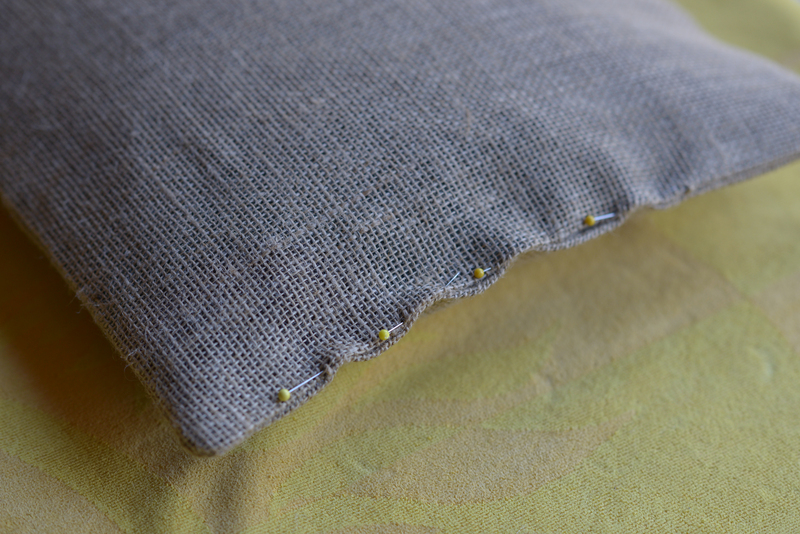 Leaving this opening at the bottom allows you to “hide” the hand stitching that is required to close the pillow, thus keeping everything neat and sweet. 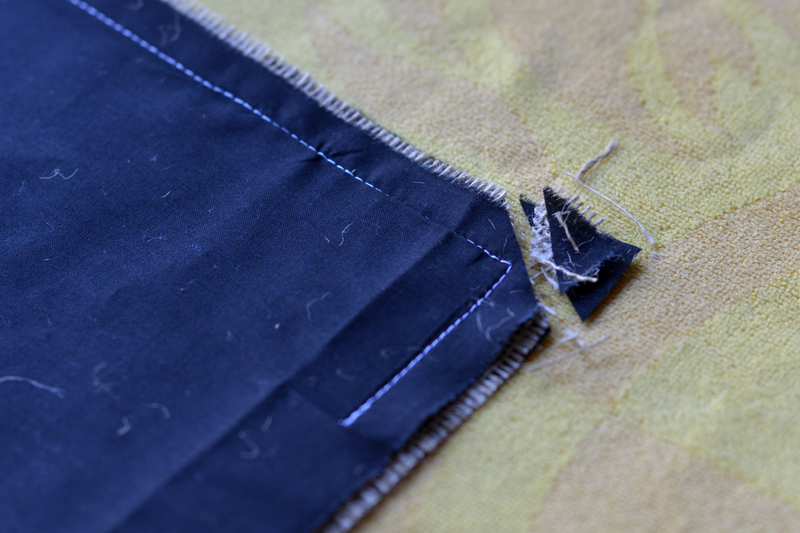 Back stitch at the beginning and end of this seam to secure the stitching on both sides of the opening. You will need this added seam strength when turning the pillow and squeezing in the pillow form. 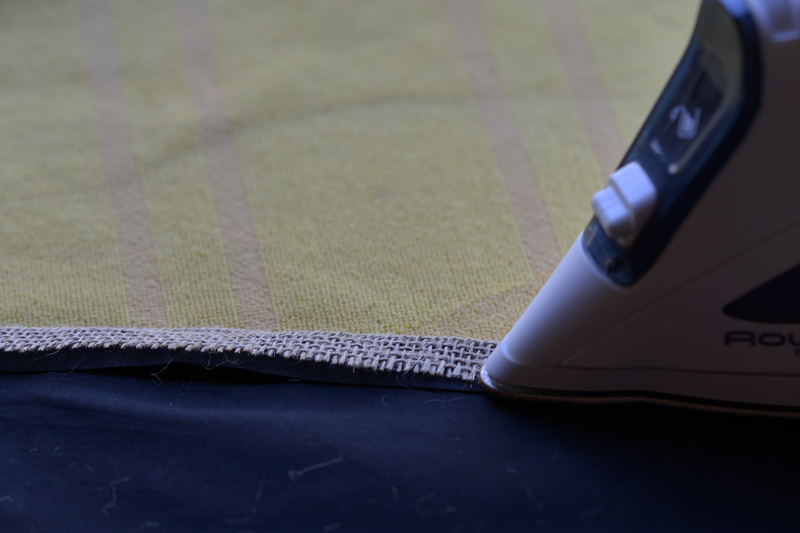 At each corner, stop 5/8″ from the edge, keep your needle down, put your presser foot up, pivot your fabric 90 degrees, put your presser foot down, and keep sewing to make an uninterrupted corner. Next, clip the four corners to remove bulk. 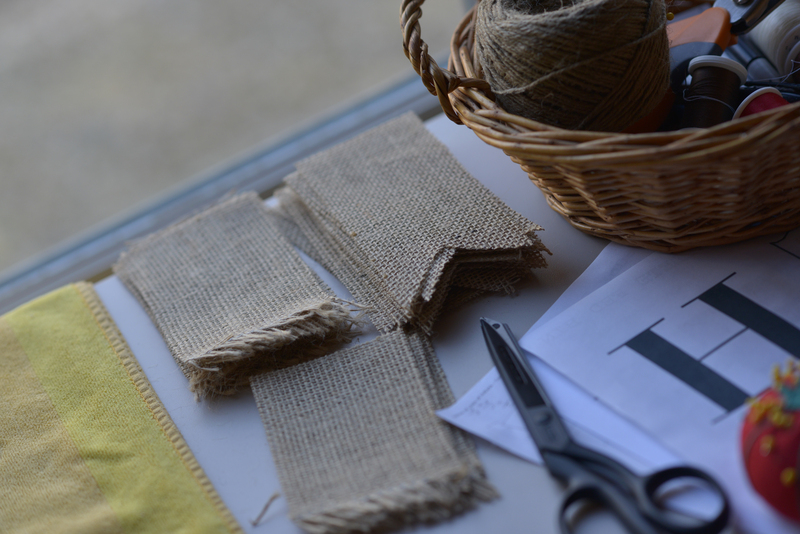 Because burlap is a very loose weave, please clip these corners carefully and not too close to the seam. Your finished corners are going to look so good. Please note: the spool is used only to separate the layers so that you can see the pressed seams more easily. Now, turn the pillow cover inside out. Of course, before pressing, the pillow cover is a hot mess. 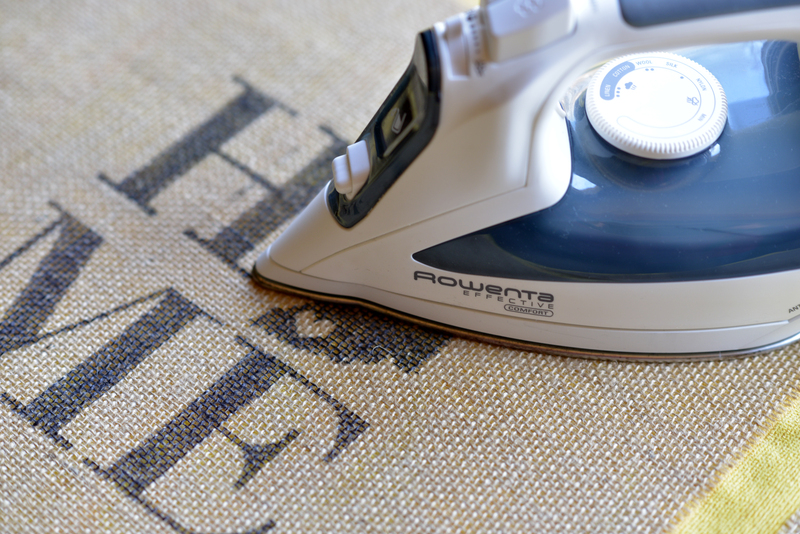 Time with the iron fixes everything. Here’s your next tip: from inside the pillow, use your fingertip to gently push each corner out far as you can. 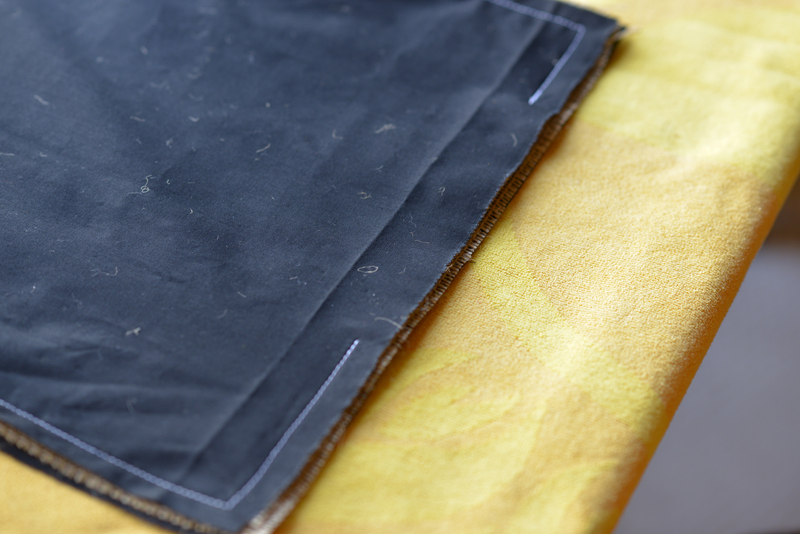 Then use a sewing pin to pull each seam out and press. Press, press, press. Taking the extra time to do this step makes all the difference in the look of your finished project. Do not skip ironing. You will live to regret it. And I love using quilting pins for sewing. They have beautiful little yellow caps and are super long and wonderful to use. Do yourself a favor and get quilting pins for sewing projects. You will thank me later. You’re almost there. Take the pillow form and fold it in half. Or squish one end as much as you can. Then carefully and methodically, pull the pillow cover over the pillow form, gently easing the form into the pillow. Sometimes it’s helpful to have another pair of hands helping with this process, but you can do it alone if necessary. 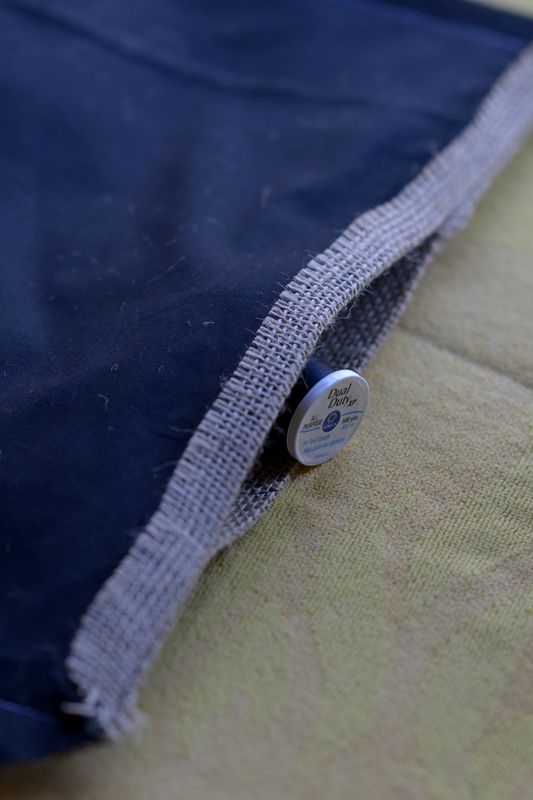 I find it easier to gently pull the cover over the form, rather than stuffing the form into the pillow. I hope that makes sense. 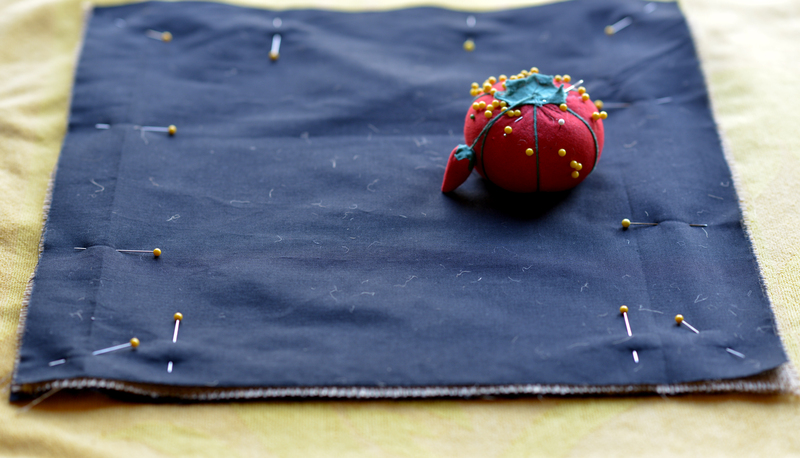 Use gentle pressure to get the form into place inside the pillow cover. You don’t won’t to pull too harshly against the opening or rip it. Just keep working at it. It will fit. Shake and jiggle the pillow as necessary to seat the form inside the cover. Now, pin the opening closed with your beautiful quilting pins. 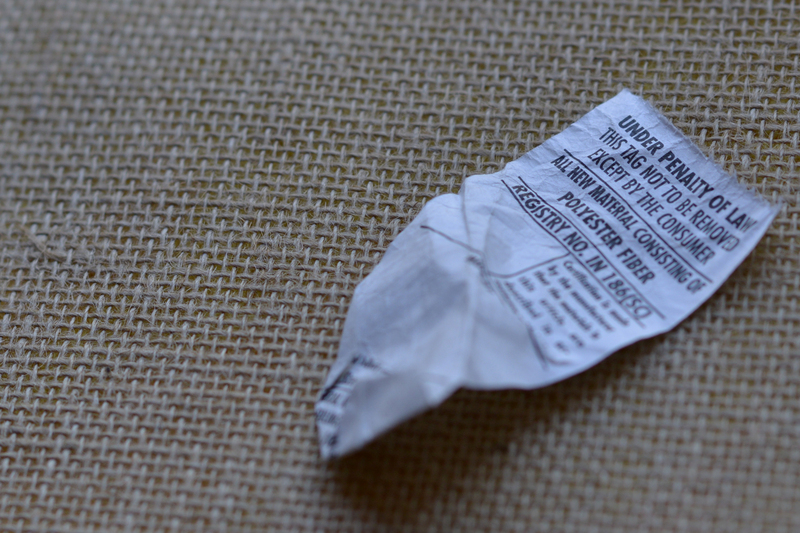 See how easily this is accomplished with the pre-pressed seam? Lovely. Slip stitch the opening closed and there you have it. Finished pillow. Now find a place for it. 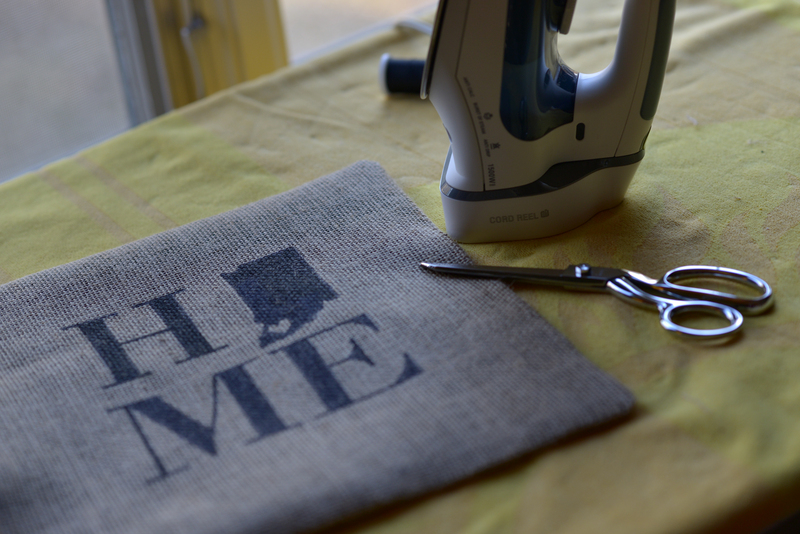 After Instagramming this project, I got so many requests for the Indiana pillow (goodness knows, I have plenty of burlap), but I have a very short attention span and the eight that I’ve already made, including two Indianapolis and two Nashville versions, have satiated my creative desire. I hope that these instructions will help you make one of your own. If you have any questions about the process I used, please leave a message and I’ll do my best to clarify. I’m even thinking about offering a workshop here at Hassler Woods to make a batch with friends. That may or may not include wine. We’ll see. And thank you to Vicki P. for her patience in waiting for her pillow, which I am trading for a couple of her marvelous, hand-crafted goodies (yay!). The pillow used as an example in these instructions is hers. measuring full to overflowing here today.